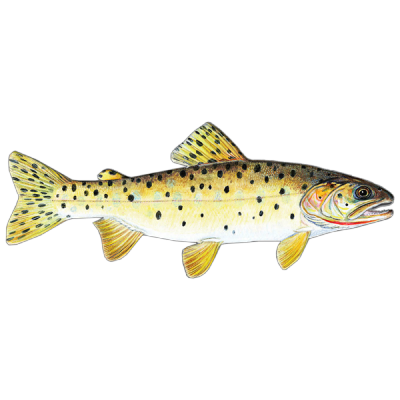 The Bear River/Bear Lake Cutthroat Trout is an interesting variety with an interesting history. 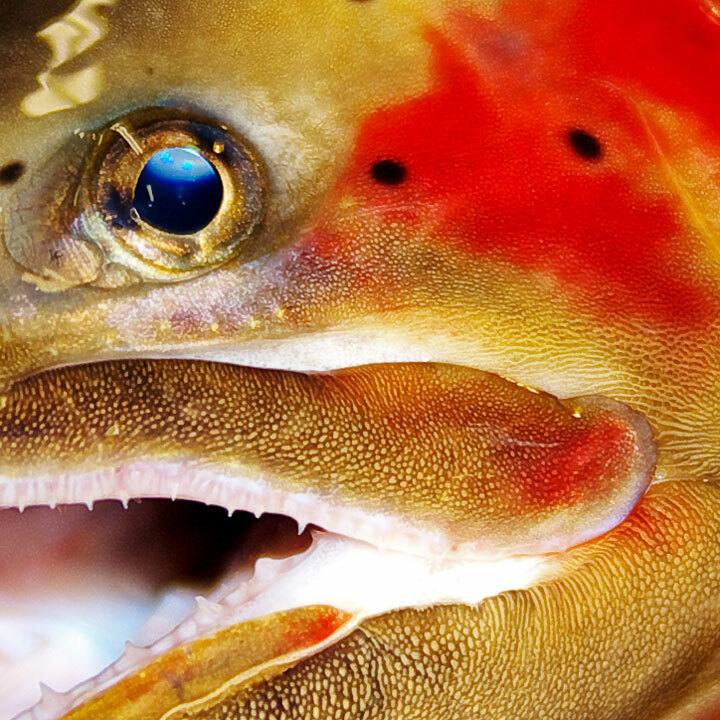 Even though the present day Bear River terminates in the Great Salt Lake within the Bonneville Basin, these cutthroat trout actually evolved on a separate path from other Bonneville cutthroat trout. The explanation for this comes from geological evidence that shows that the course of the Bear River has changed. At one time the Bear River was actually connected to Bear Lake and the Snake River drainage. Because of this, the Bear River and Bear Lake cutthroat trout probably shared ancient ancestors with the cutthroat trout in the Snake River and Yellowstone drainages. Bear Lake Cutts are known for their voracious appetites and can grow to impressive sizes. Upper Bear River: This is the headwater portion of the Bear River, including its’ major tributaries: East Fork, West Fork, Stillwater Fork, Hayden Fork, and Mill Creek. The majority of this area lies on the Uinta Wasatch Cache National Forest and is easily accessible. Woodruff Creek Reservoir. This reservoir contains a strong population of native BRCT that can be caught from the shore or from a small boat. The boat ramp at Woodruff Creek Reservoir is rudimentary and the launching of anything but smaller boats is discouraged. Big Creek. A strong population of BRCT remains in the headwaters of Big Creek, however portions of this stream are privately owned so please respect private property. Big Creek is slated for chemical reclamation during the next few years; please contact the Northern Region UDWR Office (801-476-2740) for BRCT fishing opportunities in this stream. Otter Creek (all three headwater forks). This stream is being chemically restored to native BRCT during 2015-2016. Please contact the Northern Region UDWR Office (801-476-2740) for BRCT fishing opportunities in this stream. Bear Lake. Bear Lake is being managed to provide a trophy BRCT fishery and angling opportunities for large BRCT are available year round. Special fishing regulations are present on Bear Lake so check the Fishing Guidebook before planning a trip. Up to date fishing reports are available from the Bear Lake UDWR Field Station at 435-946-8501. Logan River. The Logan River in Logan Canyon (upstream from 3rd dam to the headwaters) is managed for native BRCT. The majority of the Logan River upstream from 3rd Dam is on the Uinta Wasatch Cache National Forest. The densities of BRCT are strong in the Logan River and its’ tributaries making this a great destination to catch a pure, native BRCT. Special fishing regulations are present in the Logan River so check the Fishing Guidebook before planning a trip. Blacksmith Fork River. A small population of BRCT remains in the Blacksmith Fork River. The Left Hand Fork, Rock Creek, and Curtis Creek, all tributaries of the Blacksmith Fork, contain larger populations of native BRCT. 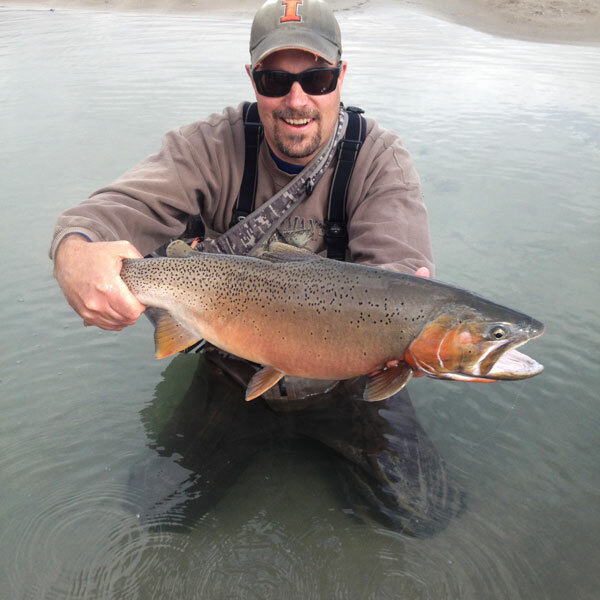 Weber and Ogden Rivers: Special fishing regulations are present in portions of the Weber River Drainage so check the Fishing Guidebook before planning a trip. The Weber River from the confluence with the Ogden River upstream to Echo Dam is managed by the UDWR for native cutthroat trout (Bear River/Bonneville cutthroat trout). The Weber River and its tributaries from the town of Oakley, UT upstream to the headwaters is managed by the UDWR for native cutthroat trout (Bear River/Bonneville cutthroat trout). Beaver Creek (upstream from Kamas) is managed by the UDWR for native cutthroat trout (Bear River/Bonneville cutthroat trout). South Fork of the Ogden River is managed by the UDWR for native cutthroat trout (Bear River/Bonneville cutthroat trout). Wheeler Creek. Angling conditions can be tough as Wheeler Creek is a small, brushy stream and is managed by the UDWR for native cutthroat trout (Bear River/Bonneville cutthroat trout). Wolf Creek. Angling conditions can be tough as Wolf Creek is a small, brushy stream and is is managed by the UDWR for native cutthroat trout (Bear River/Bonneville cutthroat trout).